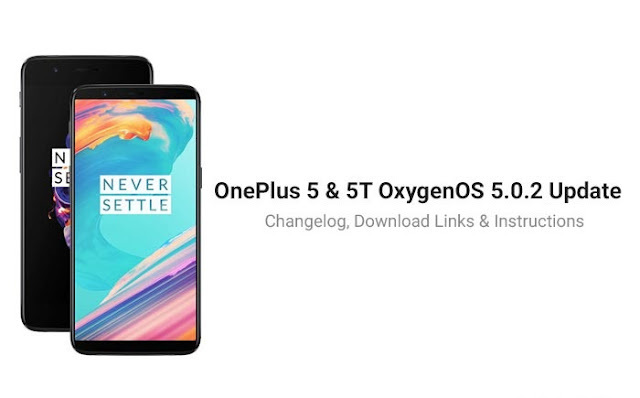 OnePlus has started the rollout of Android 8.1 Oreo-based OxygenOS 5.1.0 OTA update to its 2017 flagship smartphones- the OnePlus 5 and the OnePlus 5T. The OTA update is an incremental one which means that it will receive a small percentage of users today. OnePlus will start the broader rollout in a few days. But for those who don’t want to wait for the update, install a VPN application and change the location to Germany or Canada to receive the update right away. OnePlus has recently confirmed the 8.1 Oreo update rollout for the 5 and 5T will happen in a few days, while the OnePlus 3 and 3T users have to wait until mid-2018 for the update. Notably, the OnePlus 5 and 5T will receive Android P update later this year, while the Android 8.1 Oreo update will be the final one for the OnePlus 3 and 3T users. 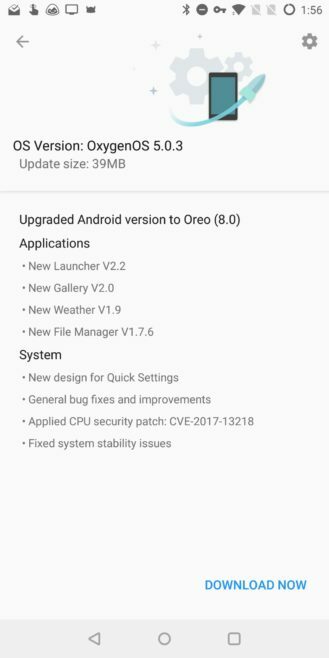 The OxygenOS 5.1.0 update for the OnePlus 5 and 5T adds all the features of the Android 8.1 Oreo introduced by Google. The update also brings April 2018 security patch fixes, which was also rolled out with the latest OxygenOS Open Beta version. For the OnePlus 5T, the company has added the support for full-screen gestures, but the OnePlus 5 misses out on the same. OnePlus has made some changes to the Gaming mode, which now has a Network Boost mode that saves network priority for gaming App in the foreground. Also, there are some new optimisations in the gaming mode including power saving and pausing adaptive brightness. The OnePlus launcher now offers category tags in the search section of the app drawer. Also, the launcher received the ability of auto-naming a folder based on the category when you group them. These are the new features included by OnePlus in the latest Android 8.1 Oreo update, and as stated earlier, the update is currently rolled out to a small batch of users, while the broader rollout will begin in a few days. 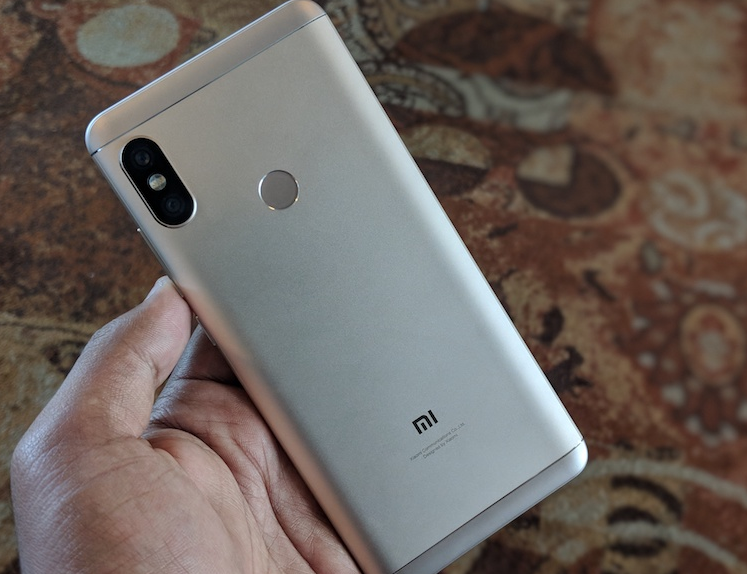 The Android 8.1 Oreo update for the Xiaomi Redmi Note 5 Pro is under works for a long time, but the company has been silent about the development though. Now, a build of Android 8.1 Oreo-based MIUI 9 Stable ROM has leaked only courtesy of folks at XDA Developers. A bunch of folks at XDA have managed to grab the OTA download link of the MIUI 9 Global Stable ROM based on Android 8.1 Oreo for the Note 5 Pro. The ROM, which for now, can be installed on a Note 5 Pro with unlocked bootloader and TWRP installed because the update is not yet verified by Xiaomi to be flashed through the Updater application. We have been trying to install these leaked builds on our Note 5 Pro, however, didn’t succeed, thanks to Xiaomi’s cumbersome unlocking process. But we have actually used a Redmi Note 5 Pro with Android 8.1 Oreo installed for a brief period and we spotted some changes right away. Firstly, the noticeable thing upfront is the gesture-based control. The Oreo update brings the gesture-based controls to the Note 5 Pro, which was recently added to the Redmi Note 5 and Redmi 5 smartphones with the MIUI 9.5 update. Next up, the dual 4G support. Yes, the Oreo update will bring the dual 4G and dual VoLTE support, but we were not able to test the latter, but the dual 4G worked like a charm during our testing. Furthermore, the Oreo update will add Project Treble support to the smartphone, which we reported earlier as well. 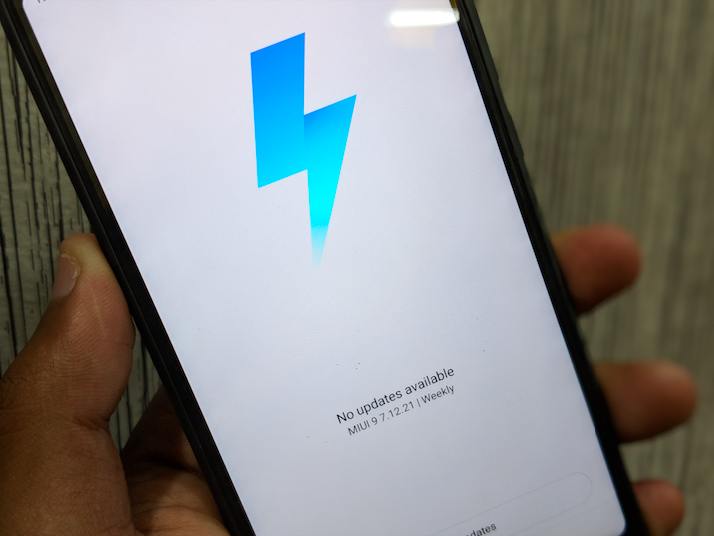 It’s unknown when Xiaomi is going to release the Oreo update to the Note 5 Pro, and we’re still wondering what’s denying Xiaomi in rolling out the update to the public. For the unknown, the Redmi Note 5 Pro which was released in China as Redmi Note 5 arrived with Android 8.1 Oreo carrying dual VoLTE, Project Treble support and more. The update might land anytime in the next few weeks, so stay tuned. 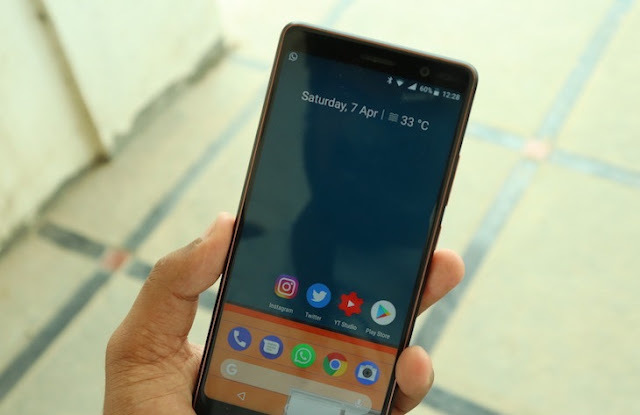 Ahead of the first sale, HMD Global, the licensee of the Nokia brand has now started rolling out the Android 8.1 Oreo update to the Nokia 7 Plus smartphone in India. The Nokia 7 Plus, which was launched last week arrived with Android 8.0 Oreo (at least our review unit), but the device will most probably come with Android 8.1 Oreo preinstalled out of the box. The Nokia 6 (2018) which is currently running Android 8.0 Oreo will also receive the 8.1 update very soon as the company has commenced the roll out. The Nokia 6 (2018) is currently up for sale in the country, while the Nokia 7 Plus will be available for purchase starting April 30. Users who’ve purchased the Nokia 6 (2018) will see an update notification very soon and going forward, it might come with the latest version preinstalled. All the new three Nokia smartphones which were announced last week in the Indian market are part of Google’s Android One program, meaning they’ll receive iterative Android updates and monthly security patches ahead of any other smartphones in the market. Speaking about the Android 8.1 Oreo update on the Nokia 7 Plus, it weighs around 590.2MB in size and brings all the features introduced by Google. 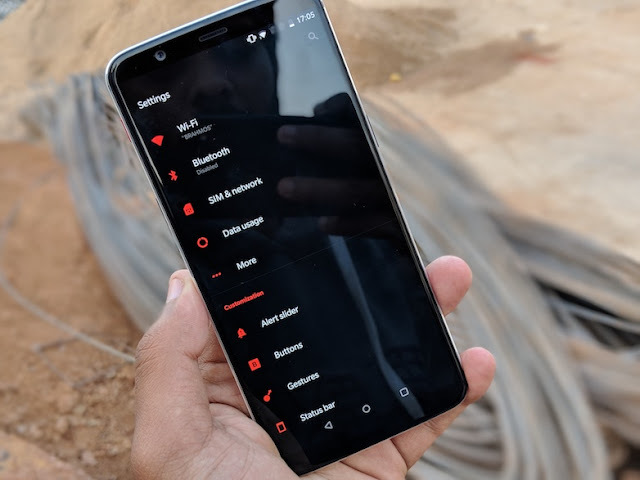 The revamped power menu, redesigned Settings menu, Bluetooth Battery Percentage and April 2018 security patch fixes. The Nokia 6 (2018)’s update weighs 802MB in size and also adds the same features. As stated, the update is currently rolling to both the smartphones in India and in other markets as well. With that said, the Nokia 6 (2018) and Nokia 7 Plus joins the other Nokia devices such as the Nokia 6, Nokia 5, Nokia 8 which are already running the Android 8.1 Oreo. Samsung has revealed the rollout timeline of Android 8.0 Oreo update for some of its smartphones - in the same week that the Android P Developer Preview 1 was released. The South Korean smartphone manufacturer posted a list of handsets as well as a timeline on when they will receive the Android Oreo update. As of now, Samsung has rolled out the update only on Galaxy S8 and Galaxy S8+ smartphones. Also, Samsung's latest flagships - Galaxy S9 and Galaxy S9+ - come with Android 8.0 out-of-the-box. However, as per the latest report, handsets like the Samsung Galaxy Note 8, Galaxy S7, Galaxy S7 Edge, Galaxy A7 (2017), Galaxy A5 (2017) and Galaxy A3 (2017) will get the latest Android OS soon. According to Samsung's 'Are we up to date' website in Turkey, the Galaxy Note 8 will be the first of the handsets which will get the Android 8.0 Oreo. March 30 has been marked as the date for pushing the update, after which Galaxy Note 8 users will be able to update their handsets from Android Nougat to Android Oreo. The next smartphones in line to receive the update will be Samsung's Galaxy S7 and Galaxy S7 Edge. 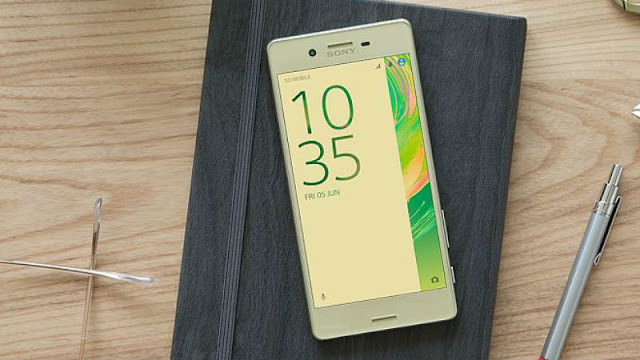 The update for these smartphones will start on April 13. Further, the Samsung Galaxy A7, Galaxy A5, and Galaxy A3, which were launched in 2017, will receive the Android Oreo update. These smartphones had shipped with Android Nougat out-of-the-box. The Oreo rollout date provided by Samsung for the smartphones is May 25, 2018. Notably, Samsung has not provided any official details regarding the rollout of the Android 8.0 Oreo update for the Samsung smartphone users in India. To recall, after halting the Android 8.0 Oreo rollout for the Galaxy S8 and Galaxy S8+ over a reboot glitch, Samsung had restarted it. The company had revealed that the Android 8.0 update for the Galaxy S8 lineup had arrived with an 'unexpected reboots' issue for some users. The Galaxy S8 Oreo update is in full swing, with more devices around the world being treated to Android 8.0 as we speak. Samsung fixed whatever went wrong with the original Oreo release for the handset, and things are moving along. If you haven’t received an update prompt, keep checking, especially if you’ve purchased a carrier-branded Galaxy S8 version. In the meantime, Samsung released the full changelog for the update, which reveals all the new features that are built into the Samsung Experience 9.0 upgrade that sits on top of Google’s Oreo. Samsung says in its release notes that specific Samsung apps, including Pay, Internet, Notes, and Email, should be updated individually before updating the operating system, and advises users to back up personal data before performing the update. Samsung Experience 9.0 upgrade with Android Oreo Samsung Experience 9.0 brings you Android Oreo, with exciting new features from Samsung and Google based on feedback from users like you. We recommend that you back up your important data to keep it safe during the upgrade. Some apps, including Samsung Pay, Samsung Internet, Samsung Notes, and Email, should be updated individually before you can update your OS. Here’s what’s new. Biometrics To improve your security, features that use biometrics (face, fingerprints, and irises) are only available when you use a secure screen lock type (pattern, PIN, or password). When you switch to a non-secure screen lock type (Swipe or None), biometric authentication is suspended for unlocking and for verification in apps like Samsung Pay and Samsung Pass. If you’re using biometrics now without a secure screen lock type, you’ll be able to continue after the upgrade, but changing to a secure screen lock type is recommended. – Notification badges on app icons are linked with the notification panel. Clear a notification in one location, and it will also be cleared in the other location. – The toolbar gives quick access to useful functions. – The GIF keyboard lets you send GIFs. – Currently running apps will always be shown in the notification panel. – Improved font size, color, and other settings for better Edge panel visibility. – Touch and hold the Edge panel handle to change its position. – Added 3 more Edge lighting effects and color customization for apps. – View and manage photos and notes stored only in Samsung Cloud. – Store any type of file in Samsung Cloud Drive. – Back up Secure Folder to Samsung Cloud remotely when your phone is lost. – Lock Samsung Pass using Find My Mobile. – See more apps at once by changing the app list view to full-screen. – Use Game launcher in Samsung DeX for a full-screen gaming experience. – Added support for 2 additional Samsung covers (LED View Cover, Clear View Standing Cover). – Bluetooth now supports high-quality audio codecs, including AAC and Sony LDAC. – Video player includes auto repeat and 2x speed option. – Voice Recorder provides smart tips to conveniently block calls while recording. – Email lets you flag Microsoft Exchange ActiveSync emails. – Samsung Health’s new sticky notification lets you see your step count at a glance. – Clock now includes a Landscape mode and timer sound options. – The digital clock widget goes directly to the Clock app when you tap it. – Samsung Pass added the ability to manage usernames and passwords in third-party apps. It has been a few months since Apple rolled out its iOS 11 for iPhone and iPad devices. The latest version is already running on 65 percent devices, according to latest numbers. In between these months, the firm has also launched a few maintenance updates in these past few months. The latest to arrive in beta testing is iOS 11.3, which strongly focuses on the iPhone’s battery and processor performance. So, how does it stand against Google’s newest Android version, Android 8.1 Oreo? iOS does have an upper hand when it comes to features. Here are some of them. 1. Spam Message filter This is one of the most important new features of the iOS 11. While detailing the OS, Apple talked about the Messages app’s ability to filter spam messages. The OS utilizes machine learning to do this. 2. Native screen recording Yes, iOS 11 users will be able to natively record the contents of their device’s display with external voice input. It’s also possible to create GIFs using this feature. 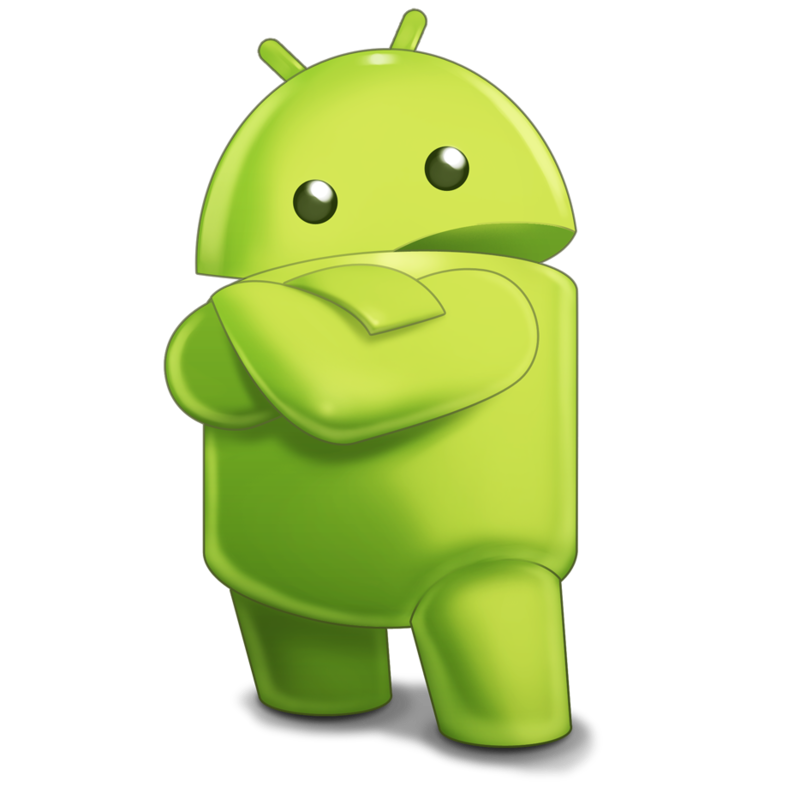 Although screen recording is supported by Samsung smartphones, it’s yet to become a native feature in Android. 3. 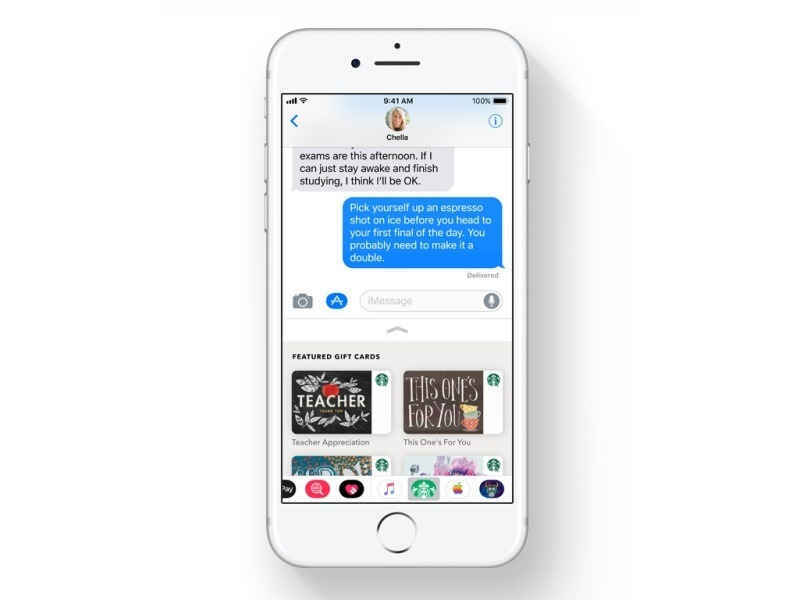 Messages sync across devices The updated Messages app in iOS 11 now has iCloud support. This means that all the messages are synchronized across all Apple devices that use the same Apple ID. Google’s Android Messages app still doesn’t have this feature. 4. Send and receive money in Messages Another interesting feature of iOS 11 is the ability to send and receive money directly within the Messages app. Users can do so via simple text messages. It’s also possible to transfer received money to one’s bank account. Android doesn’t offer any such functionality as of now. 5. Drag-and-drop support for content The new iOS 11 introduces the ability to drag-and-drop content such as images, text, URLs in apps easily. This feature works even better on iPads, as users can drag-and-drop content between different apps using the redesigned app switcher panel. 6. Control on battery and performance of iPhones With iOS 11.3, Apple is giving more power to iPhone users by letting them handle the battery and processor performance, something not yet available on Android handsets. The feature is in the iOS 11.3 beta versions and will be witnessing a broader rollout soon. 7. New video format saves space While Android users can just shoot a video and can do nothing to compress it in order to keep the quality intact and also save space at the same time, Apple has made it possible with iOS 11. The OS version brings a new format to record videos – HEIF/HEVC that maintains the quality and takes less space as well. 8. Can listen to music on multiple speakers One of the native features in iOS 11 is its ability to play music on different Apple products with the updated AirPlay 2 feature. With this you can stream content on multiple Apple TVs, something Android is yet to come with. We are already aware that like every year Google will announce the latest version of Android at its annual developer conference. 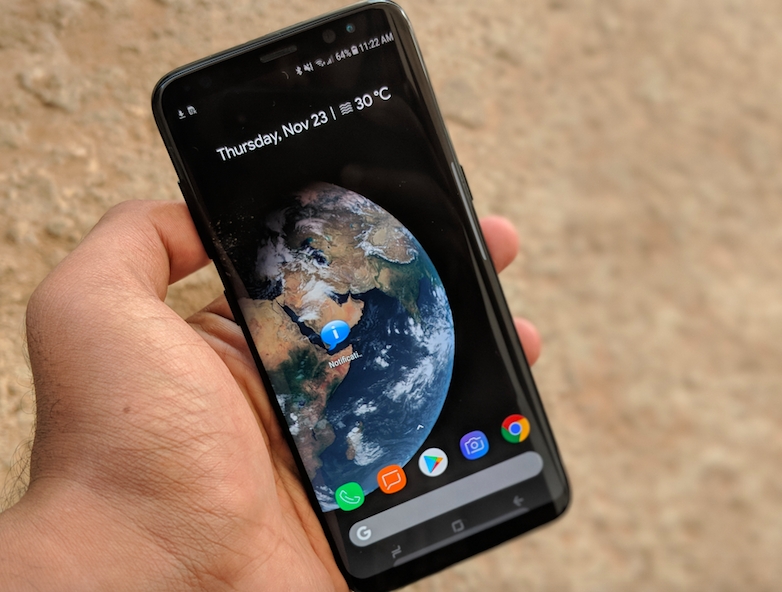 Android 9.0 or Android P, as per the leaks, will be the latest Android version and now some of its upcoming features have already started doing the rounds of internet. Now a new rumored feature of Android P has surfaced online. According to a report by XDA, Android P will come with a feature which will alert the user if their call is being recorded. The OS will come with a built in warning tone support alarming the user that their ongoing call is being recorded. The feature is expected to detect the package name of the call recording app and will insert a 1,400Hz tone which will beep after every 15 seconds that and will inform the user about the call being recorded. The feature, however, will allow lawful call recordings which will require both the parties to make a telephone call to consent to the act. The feature is definitely a useful one and will also protect the privacy of the user. Recently, Google has announced the date for its annual developer conference Google I/O 2018. However, there is still some time for the Google I/O event, but the company has already started releasing teasers of the conference. The first ever teaser for the Google I/O 2018 comes in the form of a tweet, which leads to a bunch of puzzles. Solving them reveals the date and venue of IO 2018. The event, like last time will take place in Shoreline Amphitheatre, Mountain View, CA . The conference is scheduled to begin on May 8 and will conclude on May 10. 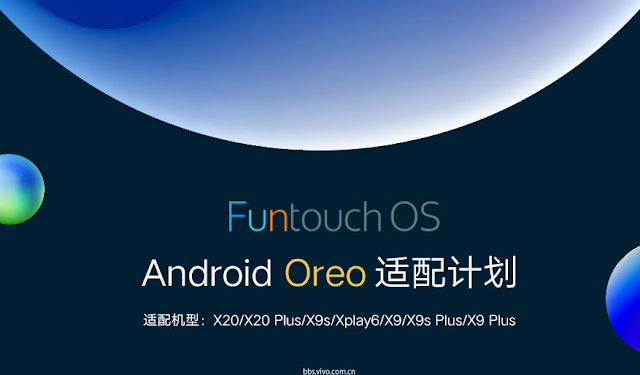 Chinese smartphone maker, Vivo will release Android 8.0 Oreo-based FunTouch OS update to seven smartphones very soon. Vivo confirmed that Vivo X20, X20 Plus, X9s, X9s Plus, Xplay6, X9 and X9 Plus smartphones would receive the Oreo update in the near future. However, the company did not mention any timeframe for the release though. Going by Vivo’s track record, don’t expect the update to come out anytime soon. But when it happens, the Vivo X20 will receive the update first ahead of the other mentioned phones, and that too in beta. Yes, Vivo confirmed that the X20 would receive the Oreo beta update first. Vivo confirmed this news on its Chinese forums page, however, it did not mention anything about the Oreo update for Indian audience. Most probably, Vivo will release the update to the recently launched Vivo V7, V7+, V5, V5s and the Vivo V5 Plus smartphones in India. For the unaware, these were the same smartphones released in the Chinese market with different monikers. Vivo is well known for not providing software updates to its smartphones, and honestly, most of the Vivo smartphone users stopped asking for the updates as well, which explains the entire story. But thankfully, the company has officially confirmed the smartphones list slated to receive Oreo update. 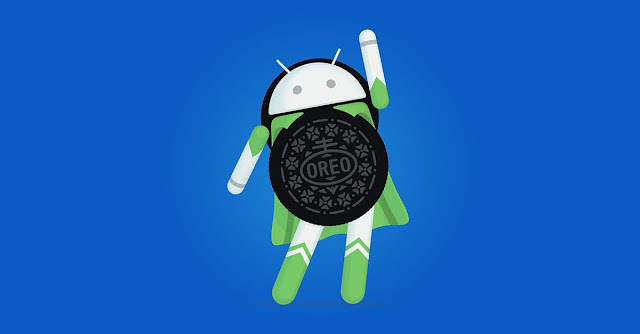 We’re expecting Vivo India to come up with the list of smartphones receiving the Oreo update in the country. Vivo’s Android skin is known as FunTouch OS, and most of the devices released in 2017 arrived with Android 7.0 Nougat. But sadly, Vivo did not include the smartphones released in 2016 in the Oreo update list. So don’t expect the brand to release the update for Vivo smartphones launched back in 2016. Other major brands such as the Nokia, Motorola, Samsung, OnePlus, etc have already updated at least one of their smartphones with the latest version. Also, Vivo is under pressure in the Indian market, thanks to some entry-level selfie phones such as Xiaomi Redmi Y1 and Infinix Hot S3. Xiaomi will be releasing its next iteration MIUI 10 update in Q2 2018, and a new rumour surfaced online recently suggests the entire list of Xiaomi smartphones which will receive the MIUI 10 update. As per the leak, Xiaomi will release the MIUI 10 update for more than 40 devices including Xiaomi smartphones and Tablets. However, Xiaomi won’t be releasing the update for its smartphones released back in 2012 such as the Xiaomi Mi 2, Mi 2S, Mi 4i, Mi Note, Redmi Note 4G, Redmi 2 and Redmi 2 Prime, as it confirmed as a week ago. Apart from those devices, Xiaomi will release the update to devices released back in 2013 such as the Xiaomi Mi 3, Mi 4, Mi 5, Mi 6, Mi 5s, Mi 5s Plus, Mi 4s, Mi 4C, Mi MIX, Mi MIX 2, Redmi Y1 / Lite, Mi Note 2, Mi Note 3, Redmi Note 3 / Pro, Redmi Note 4 / 4X, Redmi 5 Plus, Redmi 5, Redmi 5A, Mi 5X, Mi Max, Mi Max 2, Redmi 4 / 4X /4A, Redmi 3 / 3S / Prime, Redmi Pro and Redmi 3X. Also, Xiaomi tablets- Mi Pad 3, Mi Pad 2, Mi Pad is rumoured to receive the MIUI 10 update. However, do make a note that Xiaomi won’t release the MIUI 10 based on Android 8.0 Oreo update to all the smartphones. For older smartphones, it will roll out MIUI 10 based on older iteration of Android versions. For example, the Xiaomi Redmi Note 3 recently received the MIUI 9 Stable update, but sadly, it was based on Android 6.0.1 Marshmallow itself and not Nougat. The same applies to the MIUI 10 as well. Also, we suggest you take this leak with a pinch of salt, but going by Xiaomi’ standards, this leak seems to be a legit one. Currently, Xiaomi is running a poll in China asking its users to decide what the new version to be called as MIUI 10 or MIUI X. Furthermore, we’re not sure when Xiaomi will announce the MIUI 10, but what we know is the company has already started the development of the forthcoming iteration. According to Xiaomi, the MIUI 10 will be smarter instead of faster, so expect some special Artificial Intelligence features with the MIUI 10. Samsung has finally started rolling out Android 8.0 Oreo update to the Galaxy S8 and S8+ smartphones in Germany. It will be a matter of time now for Samsung to roll out the update in other regions too. In Germany, the Galaxy S8 started receiving the update with version number G955XXU1CRAP, and it weighs around 487MB. And as Samsung stated earlier, beta testers are receiving the update first, which will be followed by all Galaxy S8 and S8+ users. If you’re a beta user, check for the update and if you’re not a beta user, check for the update after 24 hours. And the update size mentioned above is for the beta users because they’re already on the final beta update. 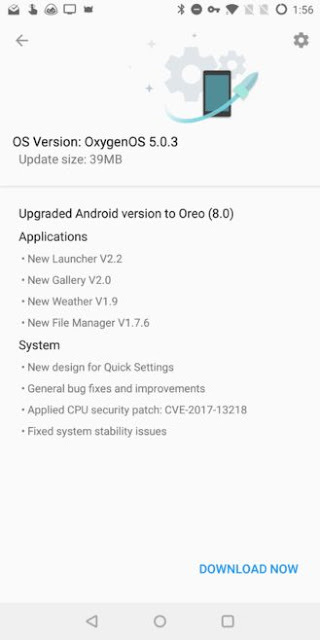 Samsung Galaxy S8 and Galaxy S8+ Android 8.0 Oreo Update Talking about the Oreo update for the Galaxy S8 duo, there will be a new interface in the form of Samsung Experience UX. Besides the regular Oreo features implemented by Google, Samsung has added a whole lot of new features in the latest version. 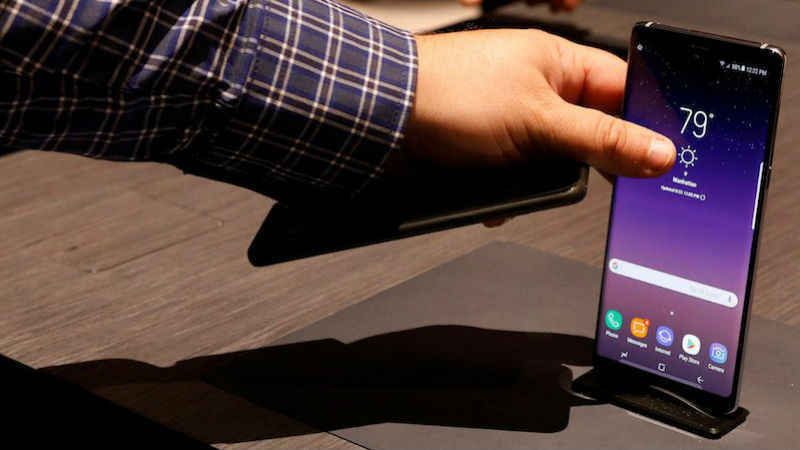 The Galaxy S8 and S8+ both comes with a curved screen on the front and guess what, with this update, Samsung has added a new Edge lighting features which allow a user to customise the edges of the smartphone. And yes, Samsung has added the Dual Apps feature to the Samsung Experience UX, finally. 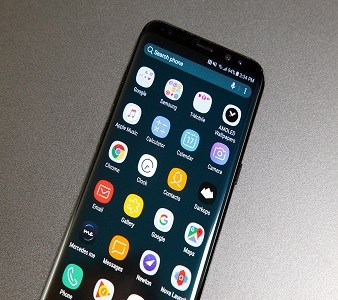 Other features such as App Shortcuts, Custom Colour options for folders, new features for Samsung DeX, Slightly redesigned Settings menu, updated lockscreen clock and always-on display, and several other new features are added as well. 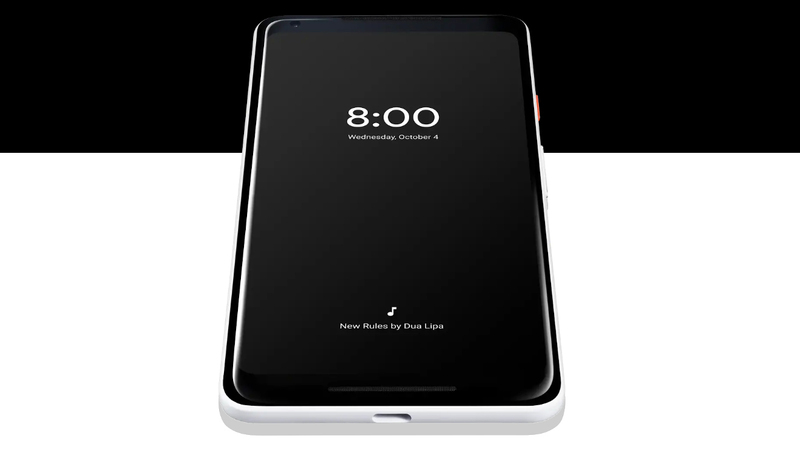 Samsung Galaxy S8 and Galaxy S8+ Android 8.0 Oreo Update Rollout As stated, the update is currently rolling out only for the Galaxy S8 users in Germany. But it’ soon expected to expand to other countries as well. With Samsung launching the Ore beta program in India, we’re expecting that the update rollout will begin in the next three to four days or a maximum in next week. We already know that Google launches a new Android OS version every year and this year too the tradition will be the same. The search giant is expected to launch Android P in the OS market. Although nothing is official about the new OS version, we may have got our first hint on one of the features that will be arriving in Android P. As spotted by Neowin, number of commits or lines of codes in the AOSP (Android Open Source Project) are seen with the term "call recording tone". This is described as a 1400Hz frequency tone that is said to repeat itself after every 15 seconds while the call recording is in process. Also mentioned is that the other party will also be able to hear the tone after 15 seconds. The feature is said to include in order to "meet regulatory compliance requirements." Some codes also indicate that carriers can choose to disable this feature. 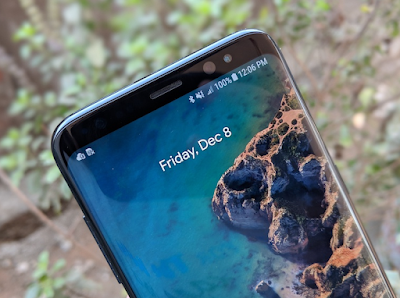 So does the inclusion of this new feature means end of For the past couple of years, Google has been been introducing the next Android version's first developer beta in March, followed by an official introduction at Google IO and eventually the final OTA rollout by October with the launch of new Pixel devices. We expect the same chain of events for the unveiling and launch of Android P. We are still a few months away from this year's Google I/O event, the search giant has already started teasing the event. The first teaser for the Google I/O 2018 came few days ago in the form of a tweet, which led to a bunch of puzzles. Solving them revealed the date and venue of IO 2018. The event, like last time will take place in Shoreline Amphitheatre, Mountain View, CA. The conference is scheduled to begin on May 8 and will conclude on May 10. Several OEMs like OnePlus and Nokia (HMD Global) have already confirmed they will roll out Android P to their flagship devices. Xiaomi continues to push the MIUI 9 Global ROM worldwide for a vast number of its devices, and lately, two more smartphones have joined the list. After releasing MIUI 9.2 update for the Redmi Note 3, the company has started rolling out the MIUI 9.2 for the Redmi 3S and Redmi 3S Prime smartphones. Both the smartphone users have been waiting for the update for more than two months now. The MIUI 9 Global ROM was scheduled to hit the third batch of devices which included the Redmi Note 3, Redmi 3S and Redmi 3S Prime, back in December 2017. However, it was delayed due to some critical bug in the update. It seems now that the Chinese phone maker has now skipped the MIUI 9.0 and is instead rolling out MIUI 9.2 directly. The new update comes as MIUI 9.2.2.0.MALMIEK and is of around 376 MB in size. 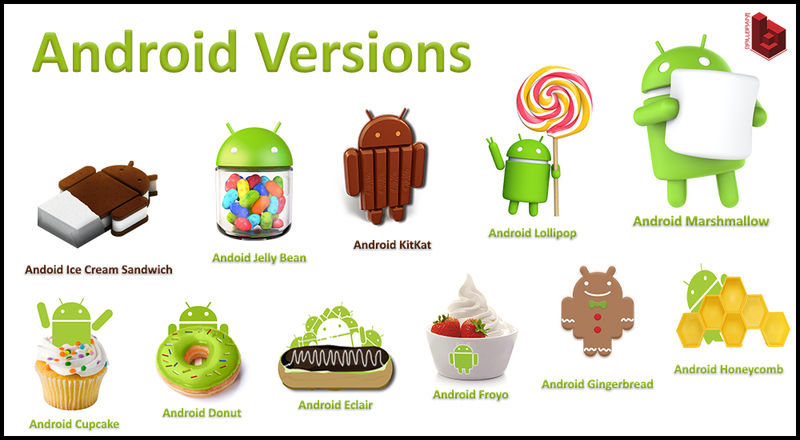 The update is still based on Android Marshmallow only, and the base version has not been updated to Android Oreo. The MIUI 9.2 update for Redmi 3S/3S Prime comes with April 2017 security patch, which is outdated since the January 2018 update patch has already been rolled out. The older security patch leaves the devices vulnerable to the KRACK WPA2 which Xiaomi has fixed in the other devices including the Redmi Note 3. Also, do note that this MIUI 9.2 update is a Nightly Build. Xiaomi usually releases Nightly updates to random users to get feedback, and the same update will be rolled out to all the users as a Stable build if the feedback comes out good. Interestingly, the MIUI 9.2 update brings some latest features for its users on the Redmi 3S and Redmi 3S Prime. New additions include interactive and Fresh UI changes, with changes in the lockscreen, status bar and notification bar. There are also new optimised themes which include a redesigned home page as well as updated Peach blossom and Asphalt themes. The update also brings along a new Gallery App, Calendar Cards, App Vault, Mi Video App, updated Mi Explorer and Mi Drop. The smartphones get an improved layout and readability for search results in Contacts, improved battery usage feature and better blocklist rules with separated rules for each SIM card. As always, the update is has been rolled out only to select batch Redmi 3S and 3S Prime users and will reach all other users in a few days. Users can still manually check for the update by following these steps: Go to Settings > Scroll down > Tap About Phone > Tap System updates. OnePlus made the fairly ordinary determination to release its new telephone in overdue 2017 with Android Nougat, which was once a 12 months previous on the time. It mentioned an Oreo replace would arrive quickly, and relying for your definition of “quickly,” OP has come via. Android eight.zero Oreo is rolling out now. The replace is OxygenOS v5.zero.2. Here is what you’ll be able to be expecting to peer. The Oreo unencumber provides the entire same old options like autofill apps, background app limits, picture-in-picture video, and extra. OnePlus has additionally made some UI tweaks. We are in reality listening to there may be some weirdness with third-party launchers and the colour of the nav bar, despite the fact that. Particularly, the nav bar is clear with white icons, making it arduous to peer. The inventory launcher is unaffected, despite the fact that. The display underneath is from Lawnchair Launcher. That is an incremental rollout, so it is only going to a small subset of OP5T customers these days. It’ll extend to everybody inside a couple of days, assuming the entirety is going as anticipated. OnePlus can have pulled the OP5T’s five.zero.2 replace in a while after it was once launched. The rollout is now proceeding as five.zero.three, despite the fact that, and the changelog stays most commonly an identical, with the one new addition being a point out of mounted problems. In my view, I skilled a couple of problems with the navigation keys and rotation on five.zero.2, so there can have been a few kinks to determine. The Oreo release adds all the standard features like autofill apps, background app limits, picture-in-picture video, and more. OnePlus has also made some UI tweaks. We're actually hearing there's some weirdness with third-party launchers and the color of the nav bar, though. Specifically, the nav bar is transparent with white icons, making it hard to see. The stock launcher is unaffected, though. The screen below is from Lawnchair Launcher. This is an incremental rollout, so it's only going to a small subset of OP5T users today. It will expand to everyone within a few days, assuming everything goes as expected. 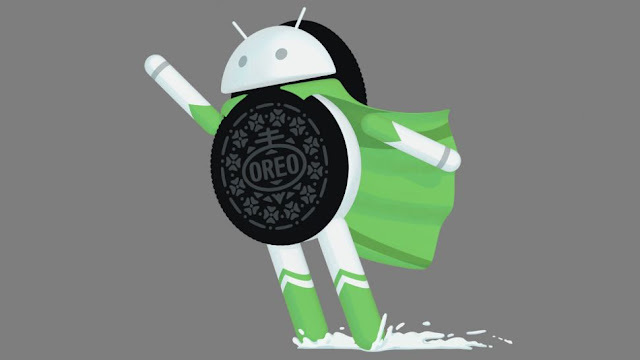 Google recently introduced the latest version of its Android operating system – Android 8.0 Oreo. The update succeeds Android Nougat and brings in several new features to Android smartphones. These include picture-in-picture video, pinned shortcuts and widgets, Smart Text selection, colour icons, and several enhanced security features. Wonder, which are the smartphones who are set to get this big update from Google? Here’s the list of 64 smartphones that will receive the Android 8.0 Oreo update. 56. Nokia 6 – Rs 14,499, 57. Samsung is the only top-tier brand which is yet to release Android 8.0 Oreo to its smartphones. The South Korean brand did not even release any list of smartphones which will receive the update. As per a new leaked Samsung Oreo Beta firmware for the Galaxy Note 8, over 26 Samsung smartphones will receive the Oreo update sooner or later. Folks at xda have revealed the list of smartphones based on the xml files present on the Note 8 beta firmware. The xml files are present with the codenames of Samsung smartphones, but thankfully, the publication revealed the actual names of the smartphones too. All the major Samsung smartphones such as Samsung Galaxy S8, S8+, Note 8 and S8 Active will receive the update. Alongside these models, Samsung will release the Oreo update to the newly released smartphones- the Galaxy A8 (2018), the Galaxy A8+ (2018). Other smartphones on the race for the update are: Samsung Galaxy A3 (2017), Galaxy A5 (2017), Galaxy A7 (2017), Galaxy A8 (2016) SM-A810, Galaxy J3 (2017), Galaxy J5 (2017), Galaxy J7 (2017), Galaxy J7+, Galaxy J7 Duos (2017), Galaxy J7 Max, Galaxy J7 Neo, Galaxy J7 Prime, Galaxy Note FE, Galaxy S7, and Galaxy S7 Edge. There are some Samsung tablets as well which are expected to receive the Oreo update: Samsung Galaxy Tab A 8.0 SM-T355, Galaxy Tab A 8.0 SM-T380/T385 2017, Galaxy Tab A 10.1 SM-T580, Galaxy Tab Active 2, Galaxy Tab E 8.0, and Galaxy Tab S3 SM-T825. With that said, Samsung will release the Oreo update to almost all the smartphones released in the past two-three years. These devices are almost to receive the update because they’re found on the company’s official firmware itself. There are some more already announced devices on the list which are currently running Android Nougat but soon expected to receive the Oreo update. The Samsung Galaxy C7 Pro, Galaxy C9 Pro, Galaxy J5 Pro, Galaxy J7 Pro, Galaxy S7 Active are the smartphones which may receive the update too, but the xml files of these phones were not present on the Note 8 beta firmware. As usual, the rollout of the update is unknown at the moment. But Samsung said that the Galaxy S8 and S8+ would receive the update in the next couple of weeks, followed by the Galaxy Note 8. Already, the company has ended the beta program for the S8 and S8+, so expect the update anytime soon. 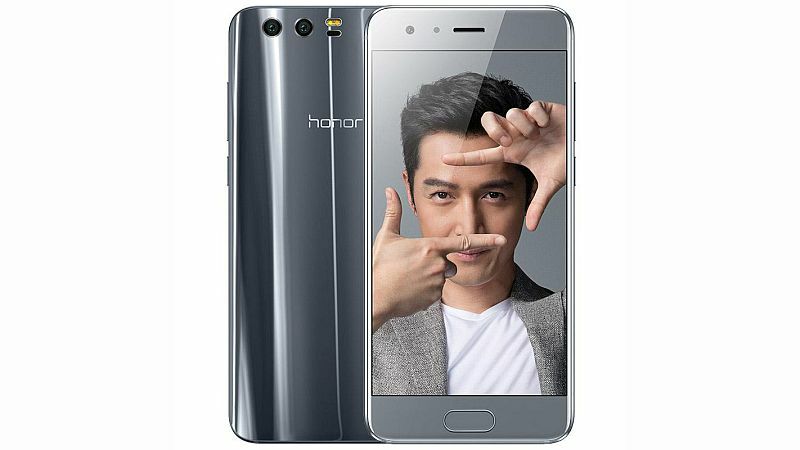 Huawei sub-brand Honor is rolling out Android 8.0 Oreo for two of its mobile phones, the Honor 9 and Honor 8 Pro. The update will be rolled out in the latest EMUI 8.0 software build available through an OTA download. Gadgets 360 has learnt that Honor 8 Pro units in India have already started receiving update. The Honor 9 hasn't been launched in India yet, although the Oreo update will roll out for the phone in other international markets including the UK. As we mentioned, the Honor 8 Pro and Honor 9 smartphones are getting the anticipated EMUI 8.0 update that brings the latest Android 8.0 Oreo to the two phones. EMUI 8.0 is claimed to have a machine learning base with features like Intelligent Context Awareness, User Behaviour, Intelligent Resource Allocation among others. The software is also supposed to have a low memory management feature that offers a significant upgrade over its predecessor, EMUI 5.1. The update might pack in other functional features, such as one-hand operation navigation dock, private space optimisation, accessibility to recently deleted documents, dynamic wallpaper, and more. EMUI 8.0 is also expected to offer prompt data transfers and quick file sharing abilities. Add to that, the Honor 8 Pro and Honor 9 will apparently get several core Android Oreo features such as Picture-in-Picture, notification dots, Autofill, faster boot up time, etc. Huawei had previously announced that an Android Oreo update would also be rolled out to smartphone models including the Honor 8, Honor 9i and Honor 8 Lite. Just to recap, the Honor 8 Pro sports a 5.7-inch QHD (1440x2560 pixels) LCD display. The phone is powered by a HiSilicon Kirin 960 SoC, coupled with 6GB of LPDDR4 RAM and 128 inbuilt storage. The Honor 9 sports a 5.15-inch full-HD (1080x1920 pixels) LTPS display. 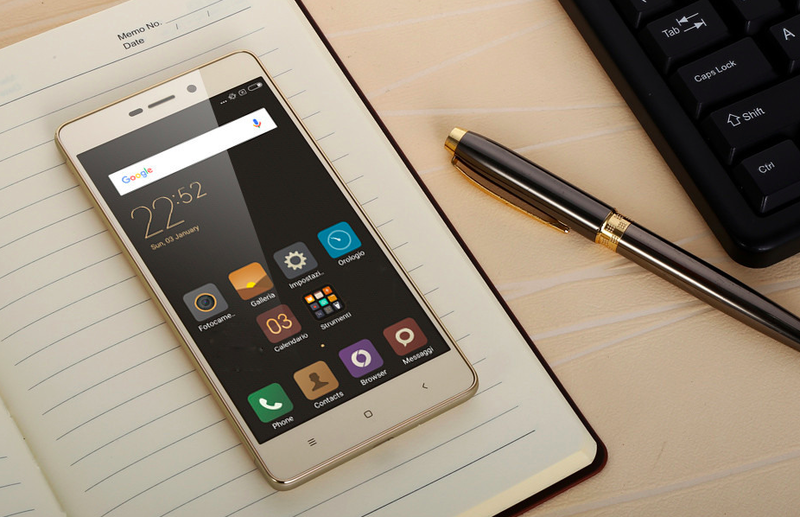 The phone is powered by Huawei's Kirin 960 SoC, coupled with up to 6GB of RAM and up to 128GB of inbuilt storage.